Yes, how true indeed teachers matter. They matter in inspiring countless pupils across every continent to see the world as it was, how it is and how it can be. Teachers matter when it comes to inspiring the young to discover the joy of learning, a process that opens the minds and transforms today’s children into the leaders of tomorrow. Teachers matter when it comes to unleashing the potential of every young person who sits in a classroom, that they are special, have a role to play, can do what they want to do, and can achieve as they please. That is a freedom that is priceless, a gift that is irreplaceable. It matters not that the class is modern, is in a shanty, has smartboards or blackboards, computers or chalk — what matters is releasing the unlimited potential of young minds, giving them the knowledge and capacity to achieve, succeed and change. The Global Teacher award and its $1 million (Dh3.67 million) prize is now in its sixth year, going from strength to strength, becoming the foremost honour for teachers the world over, and bestowing recognition on teachers who are changing lives every minute of their working day. 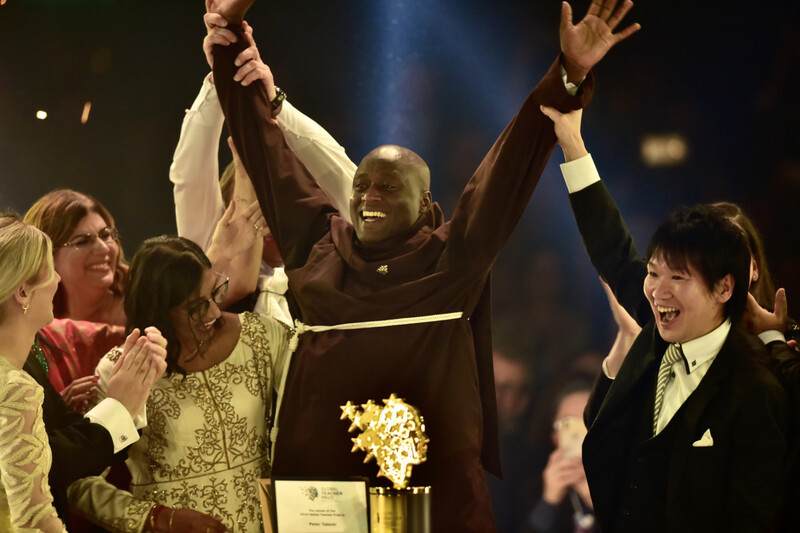 The Global Teacher Prize is an accolade that acknowledges those in the classrooms around the world, those who are involved at the very grass roots level, those who impart and inspire one class at a time. This is an award that recognises those who dedicate their working lives and more to learning, sharing its joy, imparting knowledge and inspiration. Teachers refine and change systems, they are the engineers of change, then are truly social influencers and guardians of values, capable of imparting morals, or teaching right from wrong, good from evil, equality not bigotry, acceptance not racism. And never have such values been more needed than now. This award itself must be celebrated, for its selection process reaches beyond the ordinary, finding individuals who succeed despite their conditions, resources, or challenges. And certainly the bursary with the prize is a benefit too for professionals who are not readily rewarded for their daily work. This is award that reinforces to us all that yes, teachers matter.